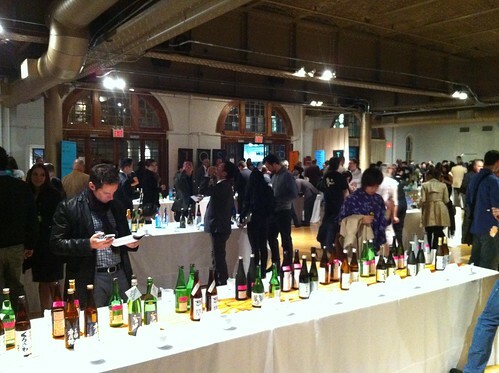 It is that time of the year again, when I remind Boston Sake lovers that they should book a trip to NYC. Epic sports rivalries aside, The Joy of Sake event in September is your best chance to get Sake exposure on a grand scale. One night only JOS will serve over 300 premium Sake, many of which are not available outside of Japan. If that wasn’t enough, 14 of New York’s finest restaurants will be making appetizers all night long to pair with your Sake choices. I would like to see a larger Boston contingent at the JOS this year. By going down and having a great time you will also be sending a message to the Sake world that Boston has many Sake lovers and should be a focus for those who sell and deal in Sake. This is a great event with no lines and no hassle – you are truly left to roam free in the pasture of amazing Sake from Japan’s top brewers. For a quick primer on the experience please refer to my review of last year’s event HERE.